WGI leapt upward 1820 places over 2015 in the 2016 Inc. 5000 rankings of America’s fast-growing private companies! 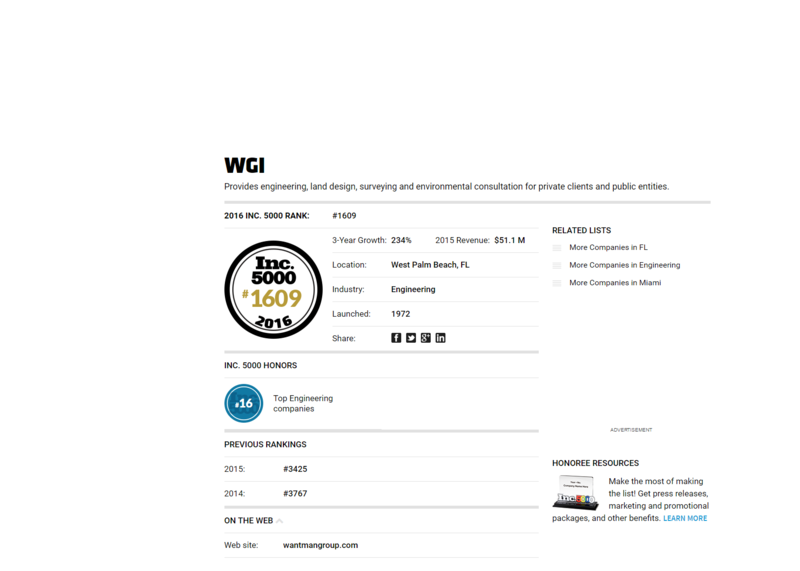 WGI sits now at #1609 on the Inc. 5000 list, with a three-year growth of 234%. WGI also ranked #16 on the prestigious list’s Top Engineering Companies, and we have no intention of slowing down!